In any era or country, safety is a crucial element to preserve and protect your assets. Today, the exponential development of modern technology provides your home and property with a smarter solution and a more secure way - digital door locks. 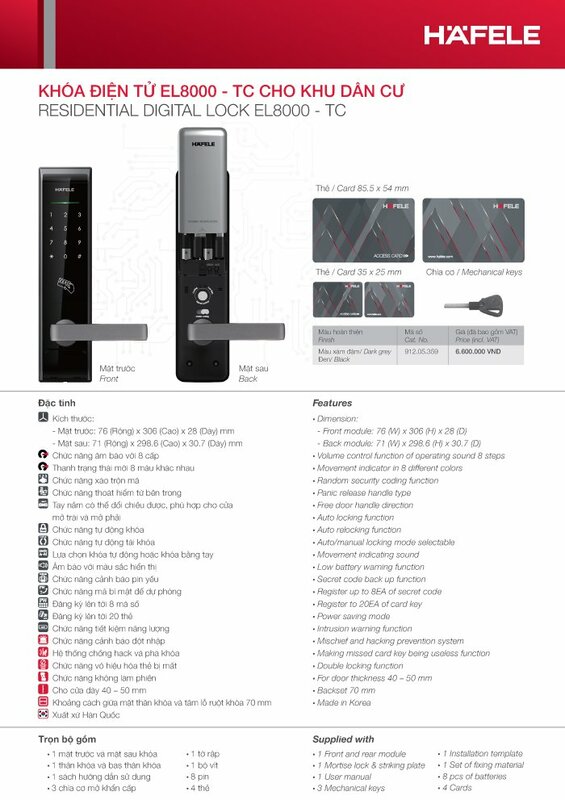 The Häfele digital door lock EL8000 - TC is a product favored for its sleek design as well as convenient functions such as unlocking with a password, smart card, mischief and hacking prevent system. With those advantages, owning a digital door lock has been the preferred choice for many individuals and organizations to ensure most secured access. Certainly, this smart product offers a convenient and secured door locking solution, and further than that brings your apartment to the next level of high tech.